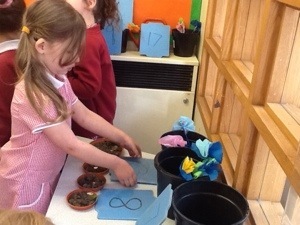 Can you count in 2s like the girls? 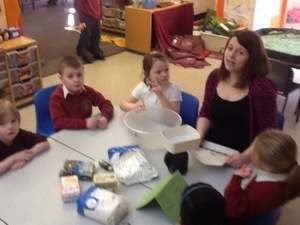 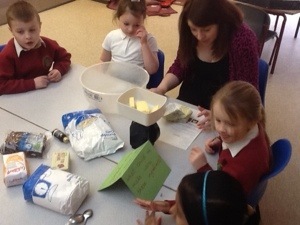 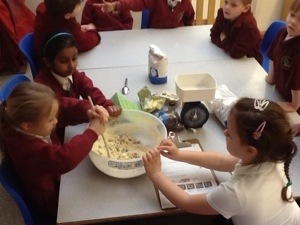 We decided to make oat and sultana cookies with the ingredients. 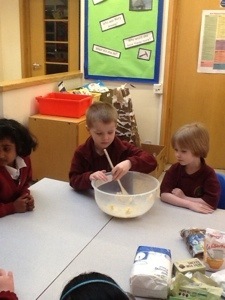 We notices that there is less sugar in these than the flapjacks we made last time. 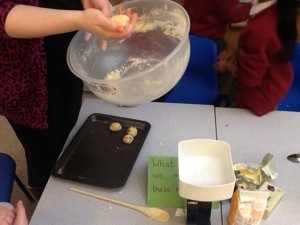 We rolled the biscuits into spheres. 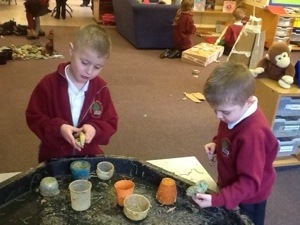 They were very tricky to squish together, our writing muscles had a really good work out! 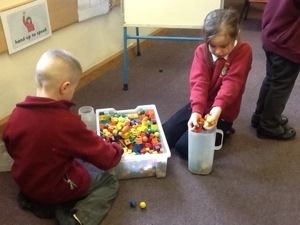 Today we used the coloured spaghetti and jelly to compare how much would fit into different containers. 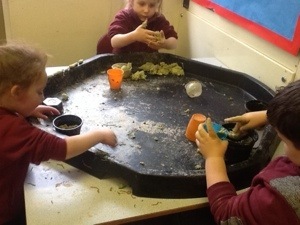 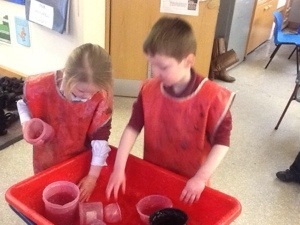 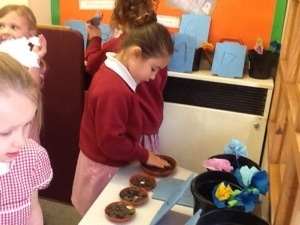 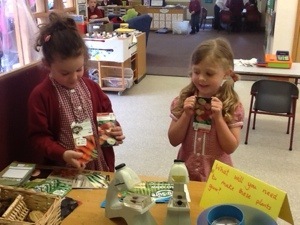 Messy learning is brilliant! 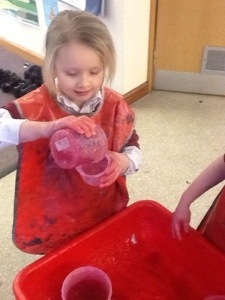 We have been busy filling and emptying all sorts of containers today. 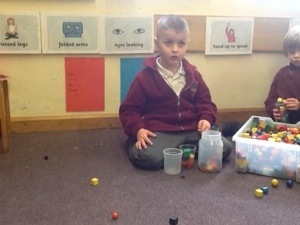 We have used words like ‘full’, ’empty’ and ‘half full’ and we can’t wait to find out whether the biggest containers always hold the most.